In the armies of some countries there are such ranks which are not present in other armies. The lowest rank in the army is private. The high – Marshal. But to attain to it, will require whole life. The lowest degree in the hierarchy of military rank is private. As soon as a man became a soldier, he is immediately assigned to this title. In the armed forces of any country any more. Soldier – a soldier, an infantryman, gunner, driver, driver. Also the number of the gun crew, scout, sapper, wireless operator and many more. Next is corporal. This title is given either for distinction in studies, combat, special training, or in connection with the position. The corporals are senior drivers, gunners of armored personnel carriers, clerks in the headquarters and other military personnel. In some military units they can command whole departments. The most famous was a corporal Hitler. Then follows the rank of Sergeant. To obtain this rank it is possible only after special training school. Sergeants command the offices but can even become a Deputy commander of a platoon. The next step is the rank of Sergeant. This is a full squad, crew, tank, guns or calculation. It was the sergeants drive the system, conduct classes, supervise. Senior Sergeant. This title usually assigned to the Deputy commander of a platoon. This is the most responsible position amongst soldiers. And completes the hierarchical ladder Junior officers of the rank of Sergeant. But do not confuse title and position. Foreman at the office can be a warrant officer. Warrant officer and senior warrant officer. It's the platoon commander. He may be a foreman, and warehouse Manager, and head of the radio station. That is to occupy this position, which do not require high qualification and a higher education, but requires the leadership of the soldiers. The ensign can be only after special training. Second Lieutenant, the person becomes automatically after the end of the military Department of civil University. In its submission, the platoon – that is about thirty people. By the way, the rank of second Lieutenant can receive and the ensign if he will acquire higher education. 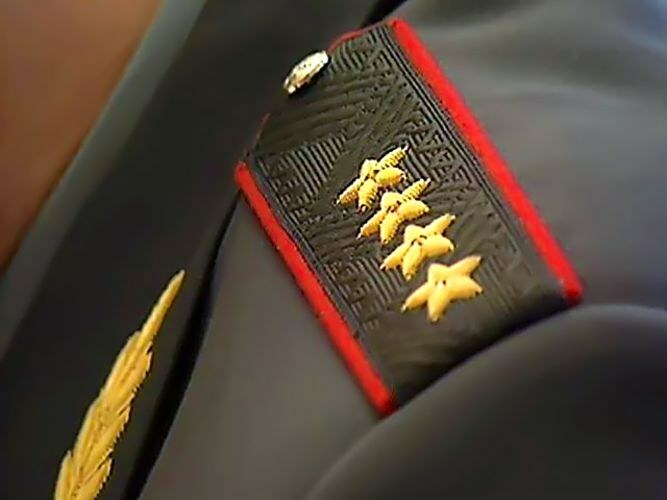 Usually the rank of the officers serve only one year, after which they become lieutenants. The rank Lieutenant is in many armies of the world. It is assigned to the military, which he graduated from the higher military school. Also Lieutenant commands a platoon, but sometimes they can afford and command of the company. For example, during the great Patriotic war. The rank of Lieutenant assigned to those officers who are Deputy commanders, Deputy commander for work with personnel, Deputy commanders according to the technique in battle. The senior lieutenants may be the company commanders. Their duties include many of the powers. The following rank – captain. They command the companies, can be a Vice battalion commander and to occupy other posts. This title also exists in many armies of the world, but it should not be confused with the naval rank. Next is major. This is the first rank of the senior officers. The major is the chief of staff of the battalion, the commandant of the military commandant's office and more. Colonel. This title is not everywhere. It is usually the Deputy regiment commander, chief of staff of the regiment or battalion commanders. The next step – the Colonel. This title is in almost all armies of the world. It is usually the commanders, the chiefs of staff of the regiment, can be found in the divisional headquarters or district headquarters. Major-General. Oddly enough, this is the lowest General rank. Next is Lieutenant General, then Colonel-General. They command divisions, districts and even whole branches of the military. Following the title of General of the army. This is the highest General rank. So far it can not all. The penultimate step is the rank of Marshal. This title is in almost all armies of the world, but to earn it in time of peace, is very difficult. By the way, the Marshal's baton once received and the legendary musketeer D'artagnan, but he went to it all my life. Earlier still was the title of Generalissimo. Got it Suvorov, Stalin, Kim Il sung, Alfredo Stroessner and many others. Now in many armies of the world it was cancelled, and completes the hierarchy of military ranks – commander-in-chief is the President of the country. It is noteworthy that the President may be a person who does not serve in the army, but he will have to decide the fate of their country.